Do you see what I see? 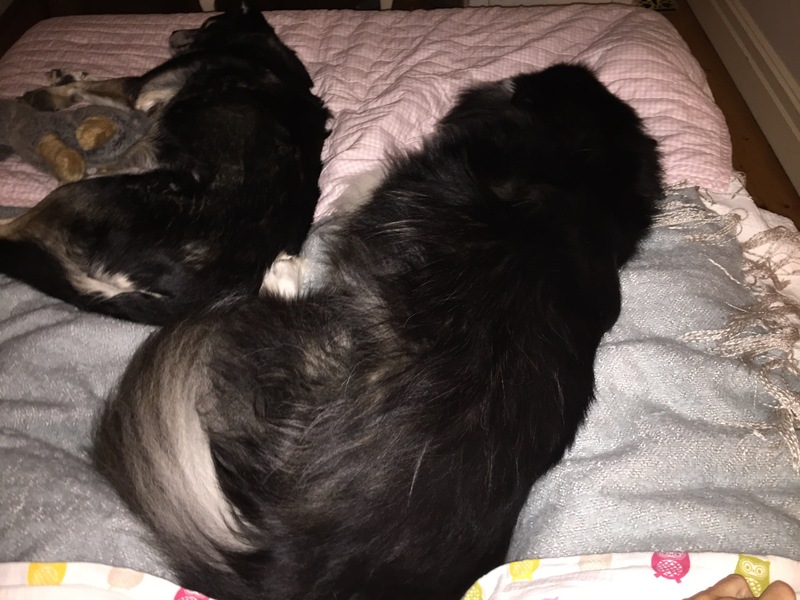 On the right I see a 34kg fluff ball taking up the majority of the bed. I am fairly certain he looks in the mirror and sees a teacup chihuahua staring back at him! Beary, I hate to break it to you, but you’re not a lapdog. Ha! I am a 22 pound peanut and in the mirror, I see a 90 pound German Shepard.